Claus Jaeckle from Acoustic Plan was again at show, after missing last year. 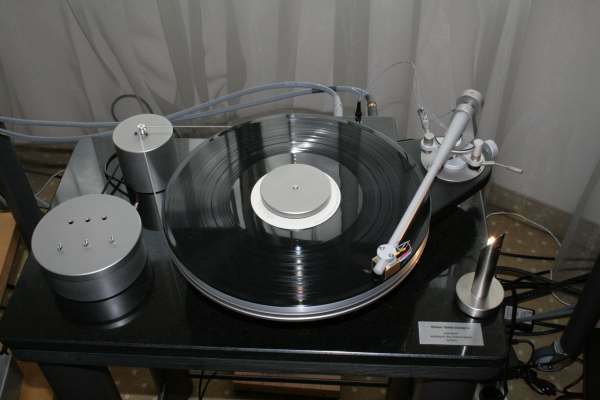 Again, he brought a Nouvelle Platine Verdier (German version), but with long Auditorium23 tonearm this year. 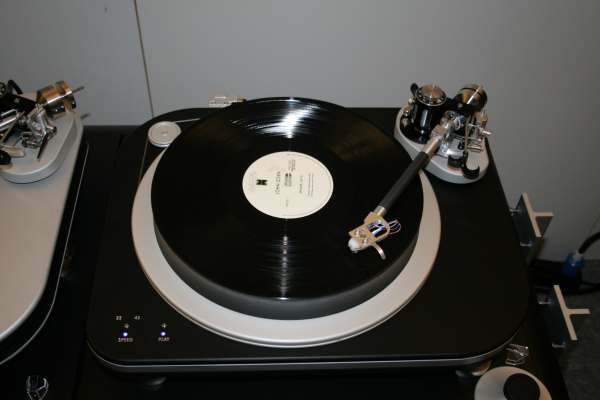 Cartridge was a Denon 103R. 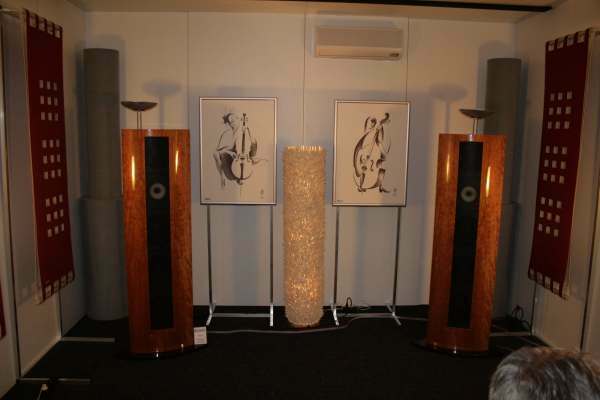 His open baffle speaker was very dynamic, and the whole setup was capable showing that the Nouvelle Platine Verdier is a very dynamic, rock-solid, musical player. Thomas Woschnik's Raven One played at several places this year, also in the Rethm show room. 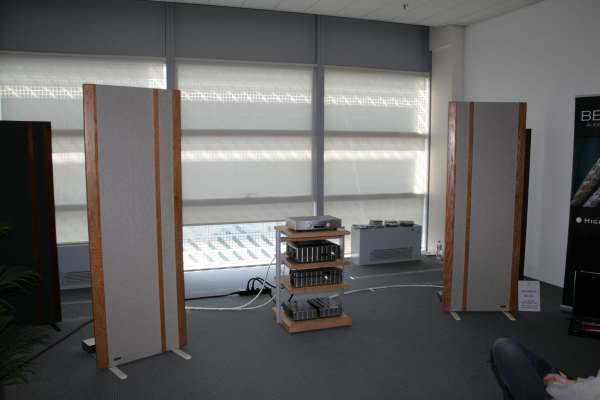 The Rethm speaker was working hard to fill the small demo room with sound. 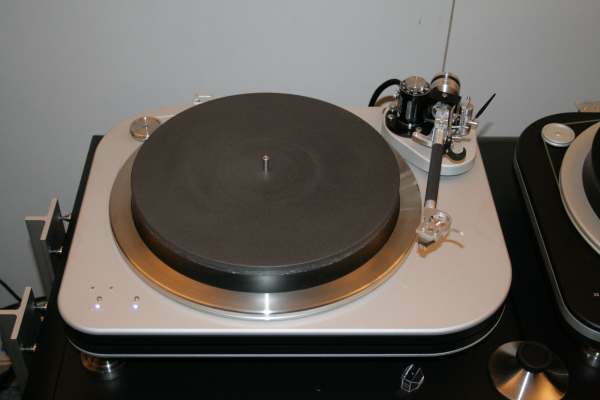 Pitifully, I was unable to recognise the turntable's qualities in this setup. 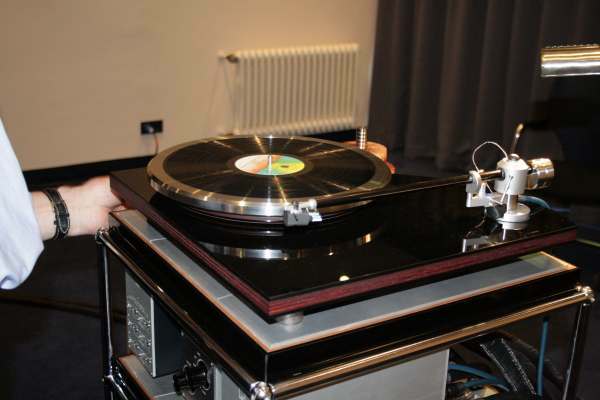 Ulla Scheu had her updated turntable at the show. Highlight was a new motor unit using a three phase motor from Pabst, same as Brinkmann, Feickert, Woschnik, etc. 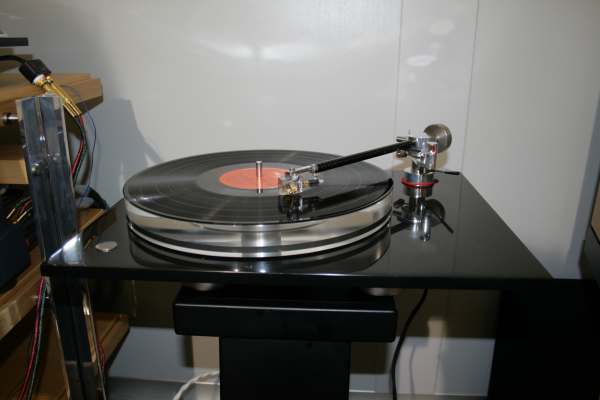 are using for their turntables. 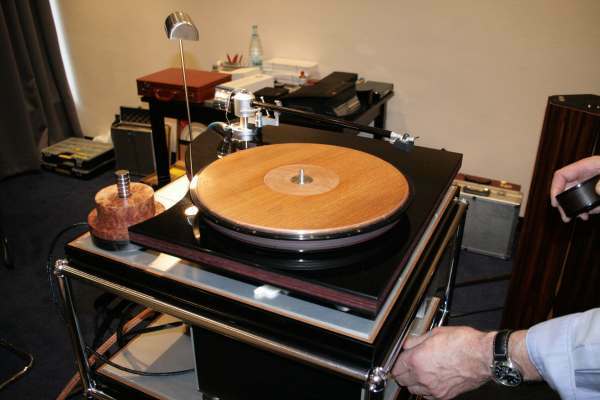 One of her turntables was running in a setup at another show room, but again, I could not recognise the turntable's qualities in that setup. Spiral Groove had been introduced last year by Frank Schroeder in the Magnepan setup, but this year the folks from Spiral Groove came themselves. 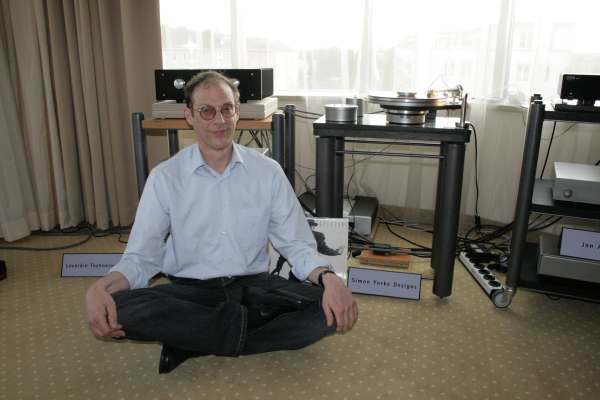 Bill Perkins, once in the 80ies head of SOTA turntables, then in the 90ies head of Immedia turntables, presented his two top models to the European market. 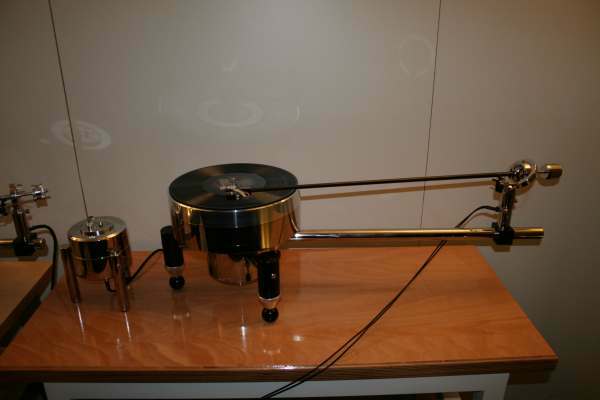 A new tonearm has been announced for summer. 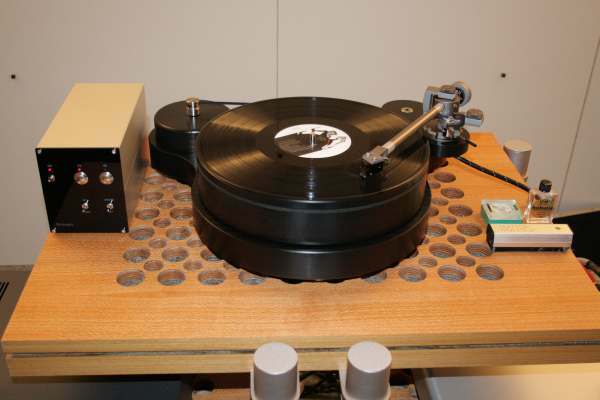 The turntables were equipped with latest versions of the Wheaton Triplanar and top cartridges Titan and Skala from Lyra. 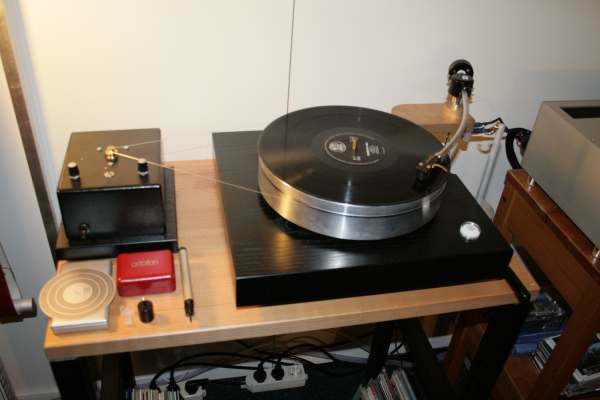 Simon Yorke, now living in Spain, brought his new S10 turntable. 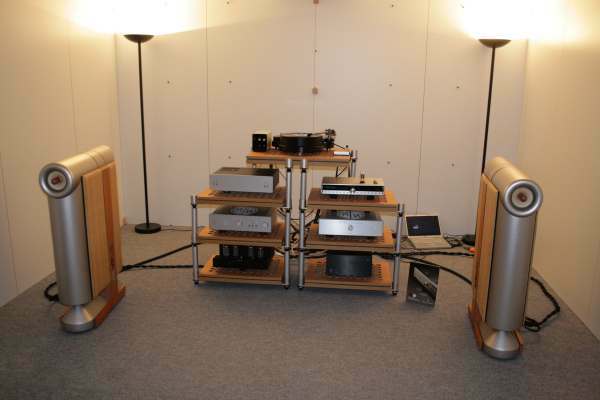 In a setup similiar to last year, using DPS turntable, Hovland and Pass amplification and Avalon loudspeakers, Active Audio managed to bring a very convincing High-End sound again. 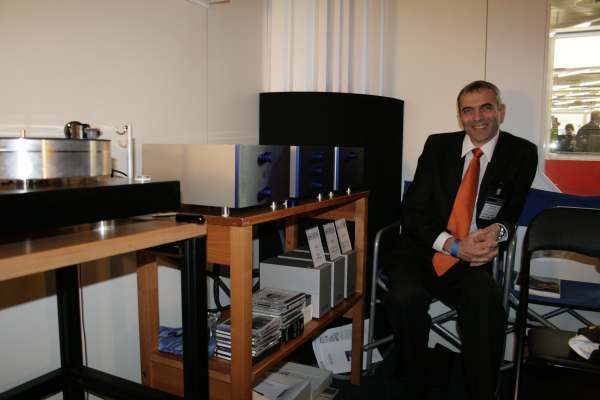 I was impressed by the big Magnepan 20.1 which filled a big show room with ease. Nothing missed here. Perfect. Like every year impressive. Excellent. 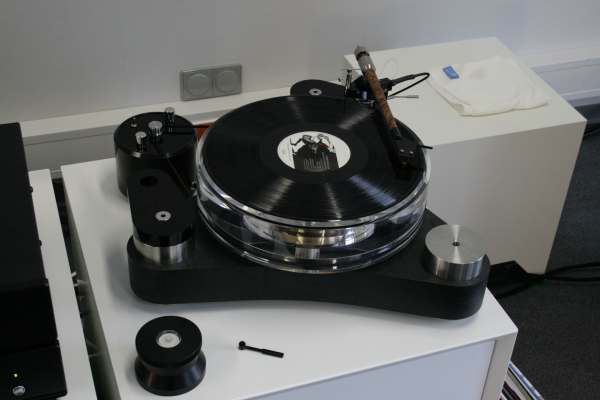 This is a new loudspeker from WLM from Austria using a paper cone tweeter and an 8 inch paper cone midwoofer, this was a very coherent and pleasent sound. Only 3000 EUR/pair. Nothing missed. Excellent value for money. 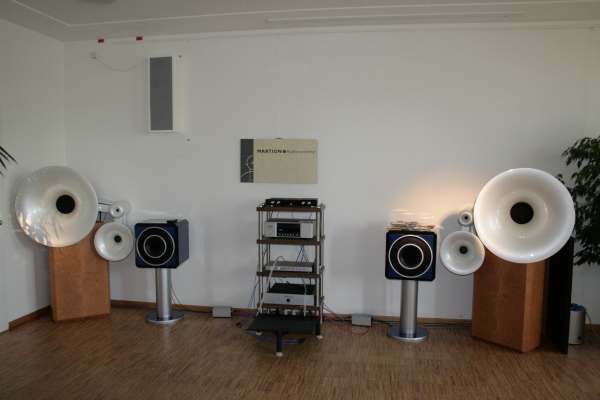 Though, the concept reminds me a lot of Saba Greencone combinations or Klang+Ton CT230 DIY speakers, both of which are quite famous in the German DIY scene. 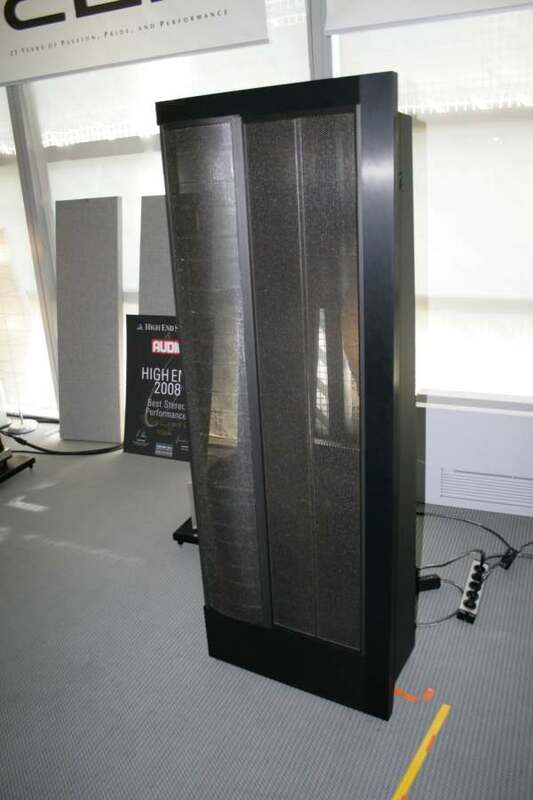 The new fullrange electrostatic from Martin Logan. Incredible detail and fine resolution. Very corherent and seamless. 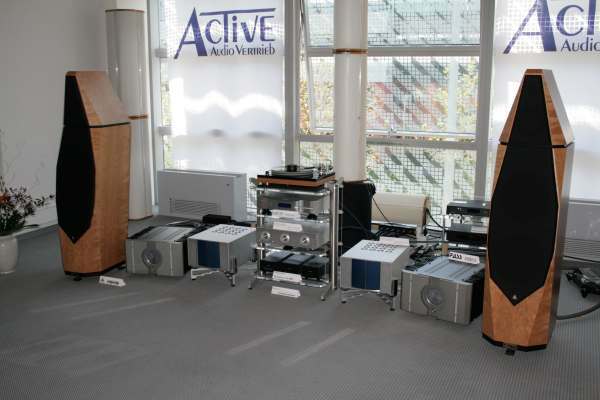 Although it took a lot of power from the McIntosh power amps during the demonstration, the bass could not shake the walls. Seriously, apart from the bass, which is a bit shy compared to the big Magnepans, the CLX are excellent. I have seen this at Rossner and Son. No further comment. 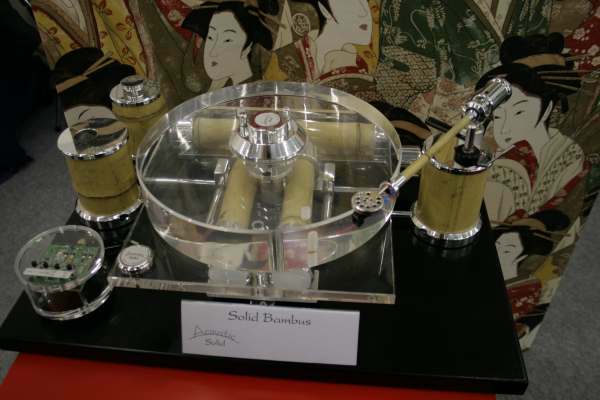 Acoustic Solid presented this acrylic and bamboo material mix. 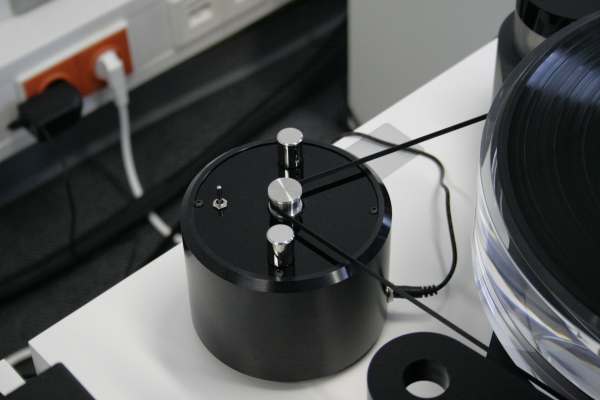 Holborne from Switzerland presented their new tonearm with two point bearings (one fixed, one moving, think Spotheim or Continuum Labs). 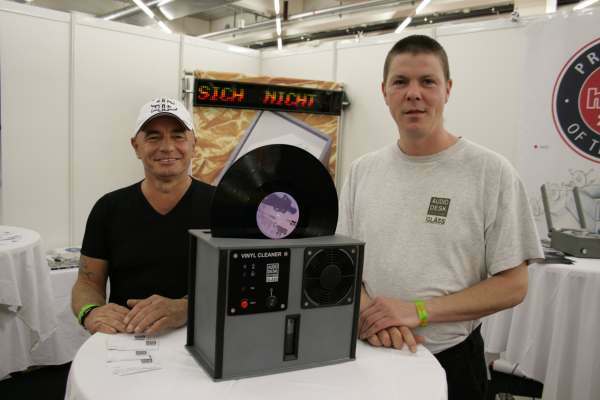 Mr.Glaess from Audio Desk, famous for his CD washing machine and other CD enhancing machines, presented his ultrasonic cleaning machine for vinyl records. This is a one-off, but it grabbed my interest. 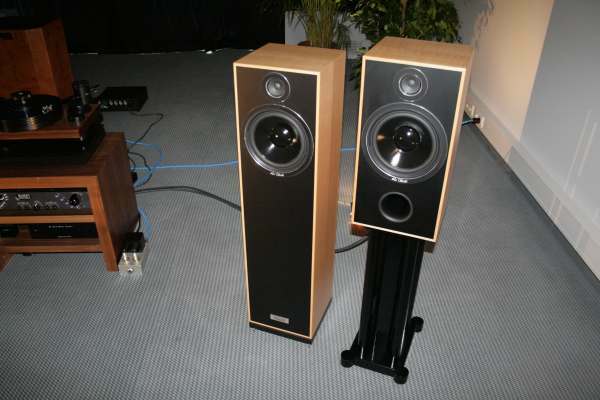 A Capella is a German manufacturer of horn loudspeakers using Ion tweeters.